All locations are accessible on foot within Florence city centre. On day two, meet your English-speaking specialist guide for the ultimate Inferno experience! 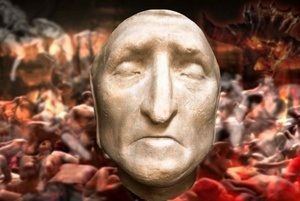 As part of a small group, your charismatic guide will entertain you along the length of an intruiging path of mind-blowing details, anecdotes and clue-filled history that will reveal all of the most important sights and locations that professor Robert Langdon visited in Dan Brown’s dark masterpiece. The three hour walking tour will introduce you to Dante and his Divine Comedy; focusing in particular on Botticelli’s painting entitled Inferno and the tour will also include an in-depth description of the connection between the painting, Dante and the history of the Divine Comedy. Also included will be a visit to the Baptistery, the Paradise Gates and the Duomo, where you will be enlightened by the symbols and codes described in the book. The highlight of the tour will be at Palazzo Vecchio, Florence’s Town Hall, where faith and science entwine with breathtaking revelations. Your guide will lead the way through the beautiful Salone dei 500 and the secret passages of the Duke of Athens. 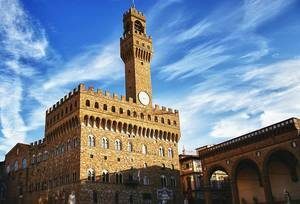 This unique building was described by Dan Brown as, “a giant chess piece that has become an inimitable symbol of Florence.” At Palazzo Vecchio, admire the Hall of Geographical Maps, the Capriate, the balconies and Dante’s famous death Mask. The tour will conclude with a traditional Italian Espresso or Gelato, as preferred. In the afternoon, we will arrange a tutored tasting session of four wines with local with olive oil and Bruschette with tomatoes in the city centre and in the evening, an unforgettable six course dinner with wines, water and coffee will be served in intimate gastronomic restaurant in a unique dining location- the city’s oldest tower. After breakfast, meet your English-speaking specialist guide at a central departure point for a three hour tour of the city, focusing on the main sights featured in Dan Brown’s film. 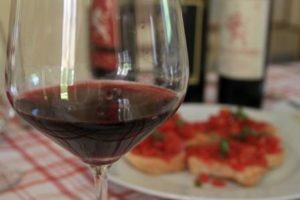 In the afternoon, enjoy a tutored tasting session of four wines with local with olive oil and Bruschette with tomatoes in the city centre. In the evening, a six course dinner with drinks will be served in an intimate gastronomic restaurant, located in the city’s oldest tower. 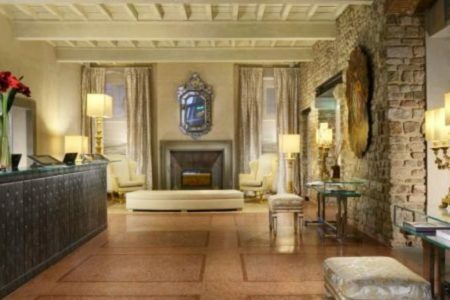 Please note that the Italian hotels charge a city tax which is payable locally at check out (Hotel Silla: 3.5€ per person per night, Hotel Cellai, Hotel Brunelleschi & Hotel Monna Lisa: 4.8€ per person per night). Hotel Silla. Travel any time from November to the end of March and in July or August (excluding fair dates) and enjoy a discount of £35 per person. 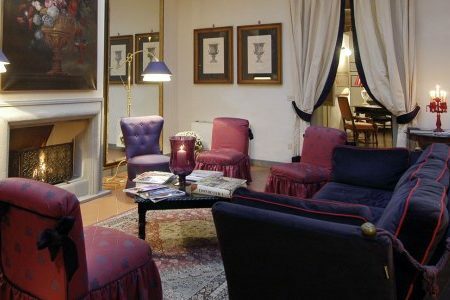 Hotel Cellai. The package price reduces by £25 per person for travel between the 22nd and the 28th of March, the 08th and the 26th of April as well as between the 22nd of October and the 04 of November. Travel any time between the 09th and the 22nd of July and enjoy a discount of £45 per person. This discount increase to £65 per person for travel between the 08th and the 21st of March, between the 23rd of July and the 31st of August as well as between the 05th and the 12th of November. From mid-November until the 07th of March, the following discount apply: £90 per person. Hotel Monna Lisa. Please contact us for low season discounts. In March, between the 1st and the 5th, the 10th and the 14th as well as 18th and the 23rd and between the 18th of November and the 1st of December – £250 per person. In March, between the 15th and the 17th as well as between the 24th and the 29th, between the 2nd and the 6th of April, between the 29th of July and the 17th of August, as well as the 24th, 25th, 30th and 31st of August, between the 4th and the 17th, of November and between the 26th and the 28th of December – £170 per person. 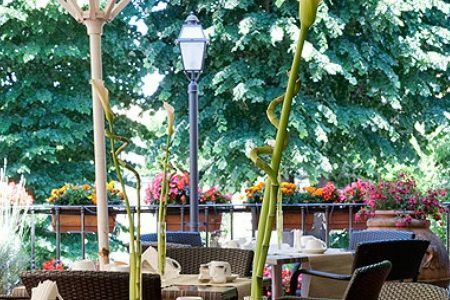 If you would like to make your Grape Escapes holiday even more special, there are a number of additional activities that we can arrange for you. 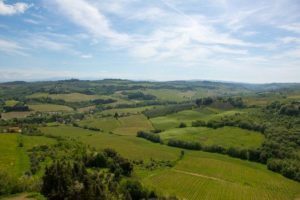 To complement the experience, these could be arranged to fit in/around your current itinerary or we can arrange additional nights and room upgrades at your hotel, as well as your travel arrangements, a stop-over en route and even a visit to another part of Italy! See below for some of the most popular upgrades. Stay longer! 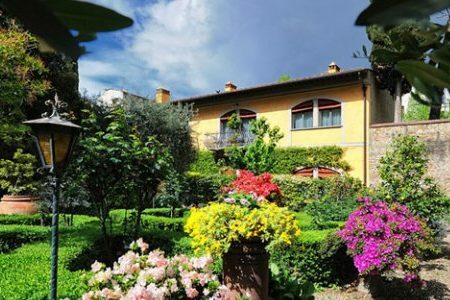 An extra night’s bed and breakfast costs £65 per person per night at Hotel Silla, £85 per person per night at Hotel Cellai, £92 per person at Hotel Monna Lisa and £184 per person at Hotel Brunelleschi. Upgrade your room. 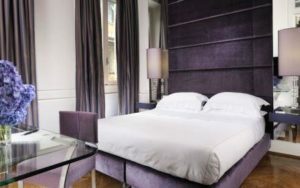 Supplements to upgrade your room start at just £30 per person per night. 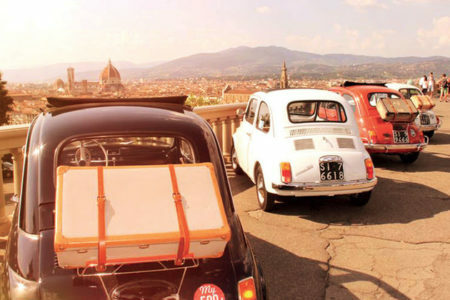 Fiat 500 Experience. 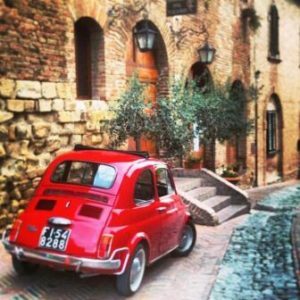 The Fiat 500 is iconic, and is instantly recognisable as a symbol of Italian style and 1950’s/60’s European social liberation. Please contact us for prices.